Home / Greenery / Various Massive Chia Seeds Health Benefits. 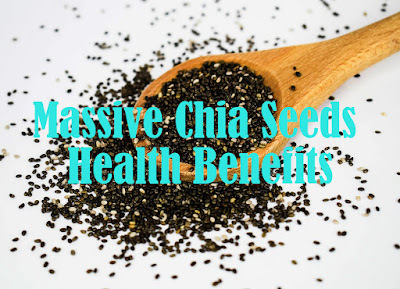 Various Massive Chia Seeds Health Benefits. Chia seeds are small grains from the Salvia Hispanica plant, one type of mint plant. The chia seed color varies from black, gray, and black with white patches. The shape is oval with a size of about 1-2mm. Chia seed comes from the regions of Central and South America. The word chia itself comes from the Mayan language which means strength. Chia seeds are also natural seeds without being processed and are very beneficial to support health, namely: reducing/balancing weight, reducing blood pressure, reducing the risk of heart disease, thyroid disease, hypoglycemia, diabetes, acid reflux, and lowering cholesterol. Black Chia seeds and white chia seeds. There are two types of chia seeds. White chia seeds and black chia seeds. Both come from the same plant family but are planted in different places. One of the main factors that distinguish the two is the color, although the white one feels slightly crisper / savory. Some people choose the color to adjust the beauty of the dishes they make. The choice between most black and white chia seeds is only your own preference. Omega-3 sources are generally only known to come from fish and vegetables, where fish have the possibility of being contaminated with mercury while Omega-3 from vegetables contains a low content. Chia Seeds have the highest source of Omega-3 ever and come from seeds. Daily consumption of Chia Seed will complement your daily nutritional needs and improve your health. Chia seeds contain many substances that are beneficial to the body such as omega 3 fatty acids, fiber, antioxidants, and minerals. In 1 portion of chia seeds (around 30g), it contains 138 calories, 9 grams of fat (mostly in unsaturated fats - healthy fats), 10 grams of fiber, and 6 grams of protein. Other advantages of chia seeds are not containing gluten and rich in antioxidants. Some study claim that the consumption of chia seeds is also beneficial to restrain hunger, balance blood sugar, improve heart conditions, lower cholesterol, trigislerida, blood pressure, and help you lose weight. But there are no scientific reports that support the link between the consumption of chia seeds and the benefits of weight loss. In a study conducted by Nieman et al., It was concluded that consumption of chia seeds as much as 50g / day every day for 12 weeks had no effect on body mass, body composition, or risk factors for disease in men/women who were overweight or obese. Nutritional content of Chia seeds. The content of Omega-3 in chia seed is eight times higher than salmon. Calcium content in chia seed is 6 times greater than milk. The amount of protein in chia seeds is 2 times higher than other grains. The content of Pottasium in chia seed is 6 times more than banana. The amount of antioxidants in chia seed is 3 times more than blueberries. The iron content contained in chia seed is 3 times higher than spinach. Alpha-linolenic acid (ALA) is good for the health of vital organs in the body to always be in the best condition. 1. Chia seeds help to lose weight. The amount of fiber that is high enough in the chia seed is believed to be able to lose weight. It's because foods that contain high fiber can generally help in making the stomach feel full longer. The protein content in chia seeds is also believed to reduce the desire to eat. According to some researches, overweight people who routinely consume chia seeds for 6 months appear to have lost about 2 kg. 2. Good for bone health. The protein and mineral content of chia seeds, such as calcium, manganese, magnesium, and phosphorus are good for supporting bone health and preventing osteoporosis. Chia seeds are also a good source of calcium for those of you who are vegetarians. Chia seeds with high protein, fiber, antioxidants, and good fat content also appear to have good effects on heart health. Research shows that consuming chia seeds can protect the heart from hardening of the arteries and heart disease. But this effect is not solely from consuming chia seeds, but also by living a healthy lifestyle. A number of studies have shown the association of consuming chia seeds with a reduced risk of type 2 diabetes. The results of these studies indicate that chia seeds can prevent blood sugar surges in the body. This effect is thought to be related to the nutrient content in the chia seeds which can maintain blood sugar stability. Consuming chia seeds is also useful for increasing energy in the body because in chia seed it has omega-3 content, fiber, carbohydrates, protein, antioxidants, and calcium. These contents function as calories for the body, where calories are an indispensable source of energy formation in everyday life. 6. Maintaining the health of pregnant women. Chia seeds are rich in nutrients in the form of fiber, protein, omega-3, antioxidants, potassium, calcium, magnesium, phosphorus, zinc, vitamin B1 (thiamine), and vitamin B2 and vitamin B3 (niacin). Nutritional content is needed by pregnant women. One portion of chia seeds fulfill as much as 15% of daily protein requirements and one-third of daily fiber requirements for pregnant women. Chia seeds have the capability to fight cancer cells. 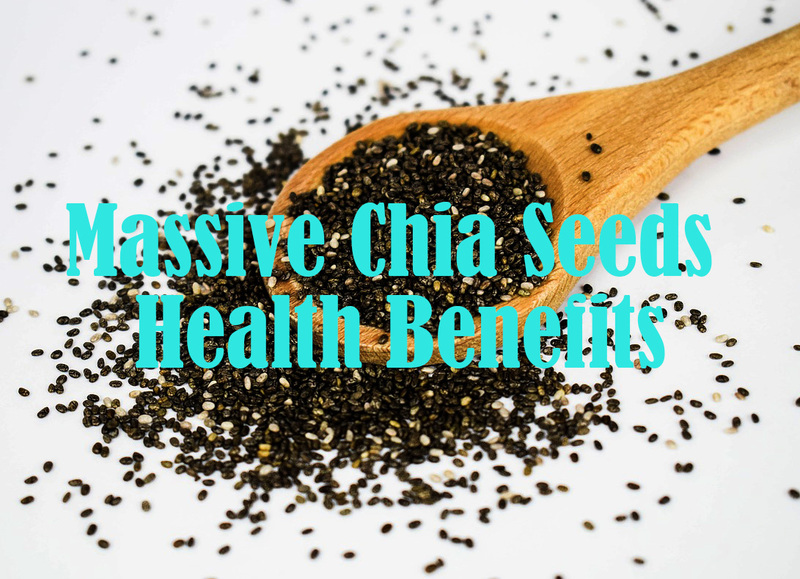 Chia seeds are a good source of alpha-linolenic acid and can help prevent breast cancer, and reduce tumor growth and inhibit cancer cell replication. Chia Seed's Secret to Skin a Hair. 1. Keeping Skin from Early Use. Chia seeds contain the famous vitamin E capable of counteracting free radicals that cause premature aging of the skin, including facial skin. By consuming chia seed, your skin can be helped to avoid fine lines, wrinkles, and dry skin. Vitamin E found in chia seeds also helps in increasing collagen production. Not only that, vitamin E in the chia seeds, is photoprotective, which absorbs UV light and can prevent inflammation due to sunlight. If you have problems with hair loss, it's good to start multiplying your chia seed consumption. Because, still from Natural living Ideas, it is stated that the content of vitamin E in the chia seed is also a stimulant and can increase blood flow to all parts of the body, including the scalp. When you start using the chia seeds as a hair mask or consume it directly, the blood on the circulating scalp will increase. It's what ultimately helps your hair grow thicker, faster and stronger. 3. Treat for Damage to the Hair. Chia seeds can help treat damage to the hair. If your hair is often exposed to pollution, dyes, and heaters, either from the sun or the drying process of the hair, the hair will tend to lose moisture. Hair becomes dry and damaged, branched and more. In this case, the protein content in chia seeds can help you repair damage to the hair. The content of vitamin E in the chia seed is useful to make the skin smoother and more youthful. Chia seeds have a total concentration of natural phenolic compounds (one type of antioxidant compound). The function of antioxidant compounds is to ward off and stop up to 70% of the adverse effects of the free radical activity. The antioxidants in chia seed are also beneficial for optimizing the regeneration and repair of the skin and preventing damage to the skin. Consuming chia seed seeds is beneficial to prevent premature aging such as wrinkles or fine lines on the face. The content of omega 3 and protein in chia seeds is beneficial for nourishing the skin. Diligently consuming chia seed has a good effect to moisturize the skin, prevent skin irritation, help heal cells and damaged skin tissue. The zinc content of the chia seed is useful for fighting acne problems, while the omega 3 functions to moisturize and reduce acne naturally. Chia seed has the content of omega 3 which is useful to prevent skin irritation and optimize the healing process of acne wounds. Zinc in chia seeds also functions as anti-aging (anti-aging) and helps prevent acne. Gastrointestinal is the most common side effect of consuming chia seed, including constipation, hard stool, and flatulence. Chia seed has a high alpha-linolenic acid content, the content is believed to increase the risk of prostate cancer. Consuming chia seeds causes the throat to become sore because the throat channel suffers from constriction due to a blockage of chia seed which is sometimes able to bind water around the esophageal canal causing food to run smoothly. Chia seed has the ability to burn fat and suppress hunger so it is suitable for healthy dieters, but chia seed is not recommended for consumption for thin people because it can cause loss of appetite and other health problems. Consuming a minimum amount of water chia seed can create pressure on the digestive system and stomach which causes flatulence. How to process Chia Seeds. To get the maximum benefits of the chia seeds, you need to process them well. From one case in a sufferer who swallowed food, the chia seeds consumed dry can cause blockages in the esophagus, because they are easy to absorb the surrounding water. Chia seeds can expand up to 27 times larger than their original size. It is recommended that chia seeds be swallowed with other foods or liquids. Not only that, but chia seed is also recommended not to be consumed by young children. If you are interested in enjoying chia seeds as a daily menu, you can process them in various ways. Starting from making it one of the ingredients to make a mixture of pudding, cake or bread, or jam. Also, read Benefits of Arugula For Health.